Herbert "Bert" Jansch (3 November 1943 – 5 October 2011) was a Scottish folk musician and founding member of the band Pentangle. He was born in Glasgow and came to prominence in London in the 1960s, as an acoustic guitarist, as well as a singer-songwriter. He recorded at least 25 albums and toured extensively from the 1960s to the 21st century. Jansch was a leading figure in the British folk music revival of the 1960s, touring folk clubs and recording several solo albums, as well as collaborating with other musicians such as John Renbourn and Anne Briggs. In 1968, he co-founded the band Pentangle, touring and recording with them until their break-up in 1972. He then took a few years' break from music, returning in the late 1970s to work on a series of projects with other musicians. He joined a reformed Pentangle in the early 1980s and remained with them as they evolved through various changes of personnel until 1995. Until his death, Jansch continued to work as a solo artist. Herbert Jansch was born at Stobhill Hospital in the Springburn district of Glasgow, in 1943, the descendant of a family originally from Hamburg, Germany, who settled in Scotland during the Victorian era. The family name is pronounced /ˈjænʃ/ yansh by almost everyone except Jansch himself. He and some close members of his family pronounce it /ˈdʒænʃ/ jansh. Jansch was brought up in the residential area of Edinburgh known as West Pilton, where he attended Pennywell Primary School and Ainslie Park Secondary School. As a teenager, he acquired a guitar and started visiting a local folk club ("The Howff") run by Roy Guest. There, he met Archie Fisher and Jill Doyle (Davey Graham's half-sister), who introduced him to the music of Big Bill Broonzy, Pete Seeger, Brownie McGhee and Woody Guthrie. He also met and shared a flat with Robin Williamson, who remained a friend when Jansch later moved to London. Jansch moved to London where, in the mid-1960s, there was a burgeoning interest in folk music. There, he met the engineer and producer Bill Leader, at whose home they made a recording of Jansch's music on a reel-to-reel tape recorder. Leader sold the tape for £100 to Transatlantic Records, who produced an album directly from it. The album Bert Jansch was released in 1965 and went on to sell 150,000 copies. It included Jansch's protest song "Do You Hear Me Now" which was brought to the attention of the pop music mainstream later that year by the singer Donovan, who covered it on his Universal Soldier EP, which reached No. 1 in the UK EP chart and No. 27 in the singles chart. Also included in Jansch's first album was his song "Needle of Death", a stark anti-drugs lament written after a friend died of a heroin overdose. In his early career, Jansch was sometimes characterized as a British Bob Dylan. During this period, Jansch described his musical influences as "the only three people that I've ever copied were Big Bill Broonzy, Davy Graham and Archie Fisher". Jansch followed his first album with two more, produced in quick succession: It Don't Bother Me and Jack Orion—which contained his first recording of "Blackwaterside", later to be taken up by Jimmy Page and recorded by Led Zeppelin as "Black Mountain Side". Jansch said: "The accompaniment was nicked by a well-known member of one of the most famous rock bands, who used it, unchanged, on one of their records." Transatlantic took legal advice about the alleged copyright infringement and were advised that there was "a distinct possibility that Bert might win an action against Page". Ultimately, Transatlantic were dubious about the costs involved in taking on Led Zeppelin in the courts, and half the costs would have had to be paid by Jansch personally, which he simply could not afford, so the case was never pursued. The arrangement and recording of Jack Orion was greatly influenced by Jansch's friend, singer Anne Briggs. In London, Jansch met up with other innovative acoustic guitar players, including John Renbourn (with whom he shared a flat in Kilburn), Davey Graham, Wizz Jones, Roy Harper and Paul Simon. They would all meet and play in various London music clubs, including the Troubadour in Old Brompton Road, and Les Cousins club in Greek Street, Soho. Renbourn and Jansch frequently played together, developing their own intricate interplay between the two guitars, often referred to as 'Folk baroque'. On 19 October 1968, Jansch married Heather Sewell. At the time, she was an art student and had been the girlfriend of Roy Harper. She inspired several of Jansch's songs and instrumentals: the most obvious is "Miss Heather Rosemary Sewell", from his 1968 album Birthday Blues, but Jansch says that, despite the name, "M'Lady Nancy" (from the 1971 Rosemary Lane album) was also written for her. As Heather Jansch she has become a well-known sculptor. Pentangle reached their highest point of commercial success with the release of their Basket of Light album in 1969. The single, Light Flight, taken from the album became popular through its use as theme music for a TV drama series Take Three Girls for which the band also provided incidental music. In 1970, at the peak of their popularity, they recorded a soundtrack for the film Tam Lin, made at least 12 television appearances, and undertook tours of the UK (including the Isle of Wight Festival) and America (including a concert at the Carnegie Hall). However, their fourth album, Cruel Sister, released in October 1970, was a commercial disaster. This was an album of traditional songs that included a 20-minute-long version of Jack Orion, a song that Jansch and Renbourn had recorded previously as a duo on Jansch's Jack Orion album. Pentangle recorded two further albums, but the strains of touring and of working together as a band were taking their toll. Then Pentangle withdrew from their record company, Transatlantic, in a bitter dispute regarding royalties. The final album of the original incarnation of Pentangle was Solomon's Seal released by Warner Brothers/Reprise in 1972. Colin Harper describes it as "a record of people's weariness, but also the product of a unit whose members were still among the best players, writers and musical interpreters of their day". Pentangle split up in January 1973, and Jansch and his wife bought a farm near Lampeter, in Wales, and withdrew temporarily from the concert circuit. After two years as a farmer, Jansch left his wife and family and returned to music (although Jansch and his wife would not be formally divorced until 1988). In 1977, he recorded the album A Rare Conundrum with a new set of musicians: Mike Piggott, Rod Clements and Pick Withers. He then formed the band Conundrum with the addition of Martin Jenkins (violin) and Nigel Smith (bass). They spent six months touring Australia, Japan and the United States. With the end of the tour, Conundrum parted company and Jansch spent six months in the United States, where he recorded the Heartbreak album with Albert Lee. Jansch toured Scandinavia, working as a duo with Martin Jenkins and, based on ideas they developed, recorded the Avocet album (initially released in Denmark). Jansch rates this as amongst his own favourites from his own recordings. On returning to England, he set up Bert Jansch's Guitar Shop at 220, New King's Road, Fulham. The shop specialised in hand-built acoustic guitars but was not a commercial success and closed after two years. In 1985 two intriguely enigmatic limited edition albums appeared issued under the name of Loren Auerbach, who was to become his wife. 'After The Long Night' was released in February 1985 with the second, 'Playing The Game' appearing in October. Bert Jansch was guest player initially and also became a writer on some of the songs, arranger and co-vocalist. Richard Newman was the primary guitarist and songwriter. Loren Auerbach had worked alongside Richard Newman for many years prior to meeting Bert Jansch. Newman and Jansch were the key players on 'After The Long night'. On 'Playing The Game' Jansch and Newman were joined with Cliff Aungier, Geoff Bradford (lead guitarist from Cyril Davis' All Stars, Long John Baldry's Hoochie Coochie Men and the fist line-up of The Rolling stones) and Brian Knight (British blues veteran of the Blues By six). The two albums became one - 'After The Long Night / Playing The Game'. Bert Jansch played guitar with Richard Newman on the following Newman songs: I Can't Go Back; Smiling Faces; Playing The Game; Sorrow; Days and Nights; The Rainbow Man; Frozen Beauty; Christabel; So Lonely; The Miller. All songs were sung by Auerbach with the exception of 'The Miller' that was sung by Newman. Bert married Loren Auerbach in 1999. He had always been a heavy drinker, but in 1987 he fell ill while working with Rod Clements and Marty Craggs, and was rushed to hospital, where he was told that he was "as seriously ill as you can be without dying" and that he had a choice of "giving up alcohol or simply giving up". He chose the former option: Colin Harper states that "There can be no doubt that Bert's creativity, reliability, energy, commitment and quality of performance were all rescued dramatically by the decision to quit boozing". Jansch and Clements continued the work they had started before Jansch's illness, resulting in the 1988 Leather Launderette album. Bert was the prime mover in the Acoustic Routes film, first broadcast by the BBC in 1992. It shows him revisiting his old haunts and reminiscing with guests such as Al Stewart, Anne Briggs, John Renbourn, and Davey Graham. From 1995, Jansch appeared frequently at the 12 Bar Club in Denmark Street, London. One of his live sets there was recorded direct to Digital Audio Tape (DAT) by Jansch's then manager, Alan King, and was released as the Live at the 12 Bar: an official bootleg album in 1996. In 2002 Jansch, Bernard Butler and Johnny "Guitar" Hodge performed live together at the Jazz Cafe, London. Bernard Butler had also appeared on Bert's 2002 album Edge of a Dream featuring, amongst others, Ralph McTell and guitarist Paul Wassif. The instrumental "Black Cat Blues", featuring Paul Wassif, appeared on the 2003 film Calendar Girls, and Wassif became a frequent sideman at Bert's live shows. In 2003, Jansch celebrated his 60th birthday with a concert at the Queen Elizabeth Hall in London. The BBC organised a concert for Jansch and various guests at the church of St Luke Old Street, which was televised on BBC Four. In 2005, Jansch teamed up again with one of his early influences, Davey Graham, for a small number of concerts in England and Scotland. His concert tour had to be postponed, owing to illness, and Jansch underwent major heart surgery in late 2005. By 2006 he had recovered and was playing concerts again. Jansch's album The Black Swan (his first for four years) was released on Sanctuary on 18 September 2006, featuring Beth Orton and Devendra Banhart on tracks "Katie Cruel", "When the Sun Comes Up", and "Watch the Stars", amongst other guests. In 2007, he featured on Babyshambles album, Shotter's Nation, playing acoustic guitar in the song "The Lost Art of Murder". After recording, he accompanied Babyshambles' lead singer Pete Doherty on several acoustic gigs, and performed on the Pete and Carl Reunion Gig, where ex-Libertines and Dirty Pretty Things singer Carl Barat joined Doherty on stage. Jansch died on 5 October 2011, aged 67, at a hospice in Hampstead after a long battle with lung cancer. 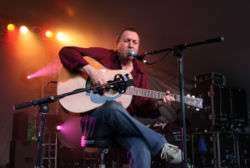 In 2001 Jansch received a Lifetime Achievement Award at the BBC Radio 2 Folk Awards, and on 5 June 2006, he received the MOJO Merit Award at the Mojo Honours List ceremony, based on "an expanded career that still continues to be inspirational". The award was presented by Beth Orton and Roy Harper. Rolling Stone ranked Jansch as No. 94 on its list of the 100 Greatest Guitarists of all Time in 2003. In January 2007, the five original members of Pentangle (including Jansch) were given a Lifetime Achievement award at the BBC Radio 2 Folk Awards. The award was presented by Sir David Attenborough. Producer John Leonard said "Pentangle were one of the most influential groups of the late 20th century and it would be wrong for the awards not to recognise what an impact they had on the music scene." Pentangle played together for the event, for the first time in more than two decades, and their performance was broadcast on BBC Radio 2 on Wednesday, 7 February 2007. In 2007, Jansch was also awarded an Honorary Doctorate of Music by Edinburgh Napier University, "in recognition of his outstanding contribution to the UK music industry". Bert Jansch's musical influences included Big Bill Broonzy and Brownie McGhee, whom Jansch first saw playing at The Howff in 1960 and, much later, claimed that he'd "still be a gardener" if he hadn't encountered McGhee and his music. Jansch was also strongly influenced by the British folk music tradition, particularly by Anne Briggs and, to a lesser extent, A.L. Lloyd. Other influences included jazz (notably Charles Mingus), early music (John Renbourn and Julian Bream) and other contemporary singer-songwriters – especially Clive Palmer. The other major influence was Davey Graham who, himself, brought together an eclectic mixture of musical styles. Also, in his formative years, Jansch had busked his way through Europe to Morocco, picking up musical ideas and rhythms from many sources. From these influences, he distilled his own individual guitar style. Some of his songs feature a basic clawhammer style of right-hand playing but these are often distinguished by unusual chord voicings or by chords with added notes. An example of this is his song "Needle of Death", which features a simple picking style but several of the chords are decorated with added ninths. Characteristically, the ninths are not the highest note of the chord, but appear in the middle of the arpeggiated finger-picking, creating a "lumpiness" to the sound. Another characteristic feature was his ability to hold a chord in the lower strings whilst bending an upper string—often bending up from a semitone below a chord note. These can be heard clearly on songs such as "Reynardine" where the bends are from the diminished fifth to the perfect fifth. Jansch often fitted the accompaniment to the natural rhythm of the words of his songs, rather than playing a consistent rhythm throughout. This can lead to occasional bars appearing in unusual time signatures. For example, his version of the Ewan MacColl song "The First Time Ever I Saw Your Face", unlike most other covers of that song, switches from 4/4 time to 3/4 and 5/4. A similar disregard for conventional time signatures is found in several of his collaborative compositions with Pentangle: for instance, "Light Flight" from the Basket of Light album includes sections in 5/8, 7/8 and 6/4 time. Jansch later played two six-string guitars built by the Coventry-based luthier, Rob Armstrong, one of which appears on the front and back covers of the 1980 Shanachie release, Best of Bert Jansch. He then had a contract with Yamaha, who provided him with an FG1500 which he played, along with a Yamaha LL11 1970s jumbo guitar. Jansch's relationship with Yamaha continued and they presented him with an acoustic guitar with gold trim and abalone inlay for his 60th birthday although, valued at about £3000, Jansch was quoted as saying that it is too good for stage use. Jansch was a well-known Fylde guitar player. Jansch's music, and particularly his acoustic guitar playing, have influenced a range of well-known musicians. His first album (Bert Jansch, 1965) was much admired, with Jimmy Page saying "At one point, I was absolutely obsessed with Bert Jansch. When I first heard that LP, I couldn't believe it. It was so far ahead of what everyone else was doing. No one in America could touch that." The same debut album included Jansch's version of the Davy Graham instrumental "Angie". This was a favourite of Mike Oldfield, who practised acoustic guitar alone as a child, and was then heavily influenced by Jansch's style. The title of the instrumental inspired Oldfield to call his first band (with sister Sally) The Sallyangie. Jansch's version of "Angie" inspired Paul Simon's recording of the piece, which was retitled "Anji" and appeared on the Simon & Garfunkel album Sounds of Silence. From the same era, Neil Young is quoted as saying, "As much of a great guitar player as Jimi [Hendrix] was, Bert Jansch is the same thing for acoustic guitar...and my favourite." Nick Drake and Donovan were both admirers of Jansch: both recorded covers of his songs and Donovan went on to dedicate two of his own songs to Jansch; "Bert's Blues" appeared on his Sunshine Superman LP, and "House of Jansch" on his fourth album Mellow Yellow. Other tributes included Gordon Giltrap's album Janschology (2000) which has two tunes by Jansch, plus two others that show his influence. Further afield, the Japanese acoustic guitar player Tsuneo Imahori is known to have been heavily influenced by Jansch. 1973 – "Oh My Father"/"The First Time Ever I Saw Your Face"
1 2 "Shows". Entertainment.stv.tv. Retrieved 2016-03-12. 1 2 3 4 Kennedy, Doug (1983). The Songs and Guitar Solos of Bert Jansch. New Punchbowl Music. p. 7. ↑ Hodgkinson, Will (5 May 2006). "Bert Jansch: A lesson with the master". The Independent. ↑ Harper, C., p. 61; which notes that he worked for about a month in a supermarket. ↑ Grunenberg, Christoph; Harris, Jonathan (2005). Summer of Love: Psychedelic Art, Social Crisis and Counterculture in the 1960s. Liverpool University Press. p. 140. ISBN 0-85323-919-3. ↑ Grunenberg & Harris, pp. 139–40: "Needle of Death ... did far more to make skag a drug of choice among hip British teenagers than a decade's worth of later releases on the same subject by the likes of Lou Reed [and others]..."
↑ Harper, Colin (2006). Dazzling Stranger: Bert Jansch and the British Folk and Blues Revival (2006 edition). Bloomsbury. p. 85. ISBN 0-7475-8725-6. ↑ Harper, Colin (2006). Dazzling Stranger: Bert Jansch and the British Folk and Blues Revival (2006 edition). Bloomsbury. p. 199. ISBN 0-7475-8725-6. ↑ "Dead Pubs Society". Dead Pubs Society. Retrieved 2016-03-12. ↑ "Heather Jansch sculptor bronze & driftwood life-size horses News". Heatherjansch.com. Retrieved 2016-03-12. ↑ Wilcock, Steve. "Bert Jansch – "Rosemary Lane"". Triste (4). Retrieved 2007-01-10. Triste examines just what makes Bert Jansch's 1971 solo album, Rosemary Lane, recorded on sabbatical from Pentangle, so special. ↑ Harper, Colin (2006). Dazzling Stranger: Bert Jansch and the British Folk and Blues Revival (2006 edition). Bloomsbury. p. 288. ISBN 0-7475-8725-6. 1 2 3 4 5 6 7 8 "Welcome to the official website of legendary guitarist Bert Jansch". Bertjansch.com. Retrieved 2016-03-12. ↑ "Babyshambles' new album - track-by-track verdict". Nme.com. 2007-08-01. Retrieved 2016-03-12. ↑ "The Libertines reunite at Hackney gig". Nme.com. 2007-04-12. Retrieved 2016-03-12. ↑ Jazz cafe live. Retrieved 19 February 2010. Archived 8 June 2009 at the Wayback Machine. ↑ May 4, 2011 (2011-05-04). "Paul Wassif - Looking Up Feeling Down". Eric Clapton Music News. Retrieved 2016-03-12. ↑ "BBC Music - Glastonbury, Pentangle - Interview, Glastonbury 2011". Bbc.co.uk. Retrieved 2016-03-12. ↑ Walters, John L (4 August 2011). "Pentangle – review". The Guardian. London. ↑ "Folk musician Bert Jansch dies aged 67". BBC News. 2011-10-05. Retrieved 2016-03-12. ↑ "Radio 2 - Events - Folk Awards 2007". BBC. Retrieved 2016-03-12. ↑ "Press Office - Pentangle reform for Radio 2 Folk Awards". BBC. Retrieved 2016-03-12. ↑ "Press Office - Radio 2 Folk Awards 2007 winners". BBC. Retrieved 2016-03-12. ↑ Unterberger, Richie (2003). Eight Miles High: Folk-Rock's Flight from Haight-Ashbury to Woodstock. San Francisco, California: Backbeat Books. p. 146. ISBN 0-87930-743-9. ↑ Harper, C., p. 84, describes his playing, in his early days, as "increasingly accomplished, if singular". Page 106 quotes Frank Coia as saying that Jansch's style "was a total diversity from normal, conventional playing – in tonality, in dissonance, in his idea on chord progressions. [...] His accentuation and the actual timing [...] is so unique." 1 2 Spencer, Neil (17 September 2006). "Let's stick together". London: The Observer. Retrieved 2009-02-06. ↑ Mulvey, John (29 December 2003). "The guitar men". The Scotsman. Retrieved 2007-01-10. ↑ "Galleries". Fyldeguitars.com. Retrieved 2016-03-12. ↑ Quoted in a list of tributes to Jansch inside the front cover of Roy Harper's biography. ↑ DeRogatis, Jim (2003). Turn on Your Mind: Four Decades of Great Psychedelic Rock. Hal Leonard. p. 173. ISBN 0-634-05548-8. ↑ Harper, C., p. 335. Quote that Jansch was incredulous that Simon's version of "Anji" (and other subsequent recordings) are based on his own, "mistakes and all"
↑ Jerey Simmonds, The Encyclopedia of Dead Rock Stars: Heroin, Handguns, and Ham Sandwiches, Chicago Review Press, 2008 ISBN 1-55652-754-3, ISBN 978-1-55652-754-8; p. 75: "[Drake] was inspired by musicians like Bert Jansch and John Renbourn"
↑ "Gordon Giltrap". Giltrap.co.uk. Retrieved 2016-03-12. ↑ "Tsuneo Imahori — Free listening, videos, concerts, stats and pictures at". Last.fm. Retrieved 2016-03-12.